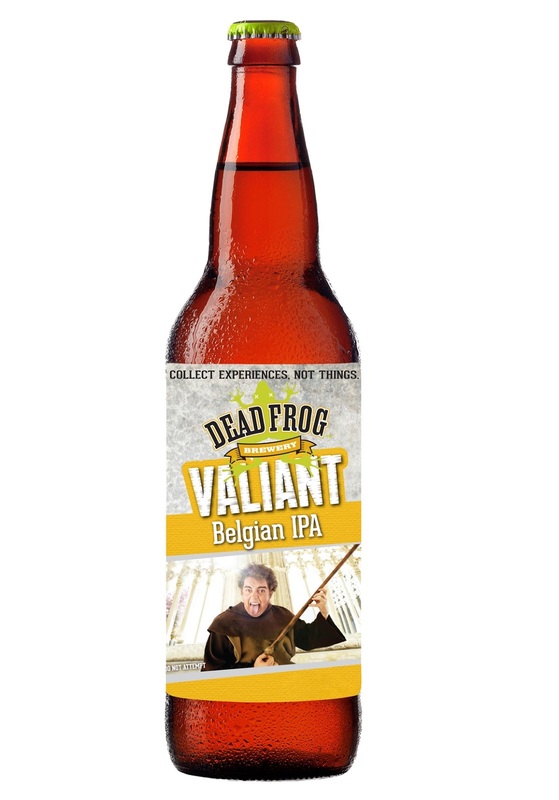 Described as "a golden hop monster with a refined edge", the Dead Frog Valiant Belgian IPA is a celebration of the valiant brewing forefathers in Belgium who perfected the art of making great beer and inspire us to do the same. This hybrid unfiltered IPA is our most romantic brew yet; it's the perfect marriage of a West Coast hop powerhouse and an elegant Belgian ale. 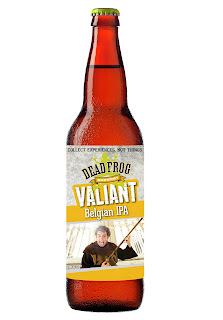 "The beer is a vibrant, hop forward, delicately balanced IPA brewed using West Coast hops and traditional Belgian yeast. Flavours from two distinct styles of beer combine to make a unique brew with inspiration from two sides of the brewing world".